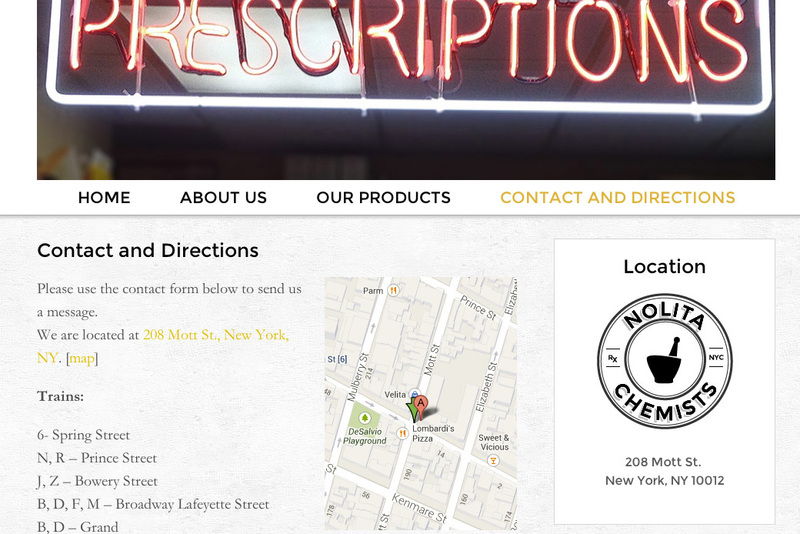 Nolita Chemists is a local neighborhood drugstore with a personal touch, in the historic “Nolita” section of lower Manhattan. 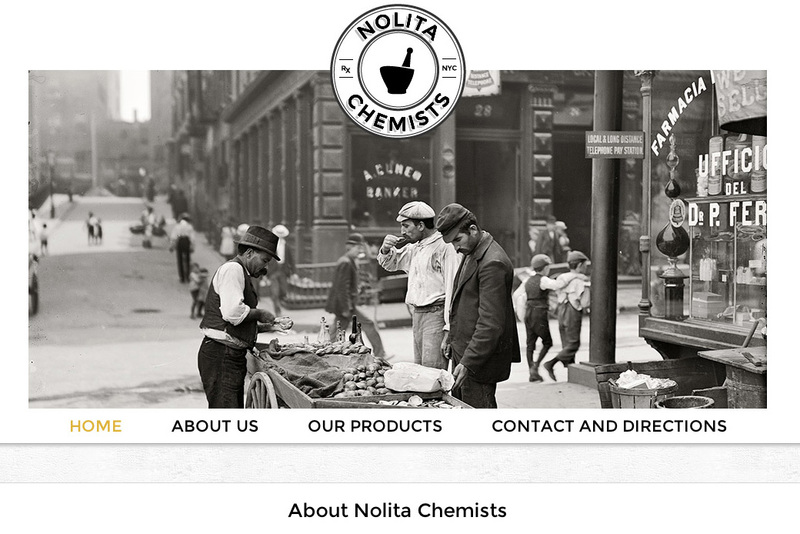 Located on Mott St. in ‘North Little Italy”, Nolita Chemists aims to provide old world service with modern convenience. Our work with Nolita centered around creating the brand from scratch, anchored in a typographic scheme and contemporary but retro appearance. A new logo and web design kick off the brand. The site itself features an easy-to-update Content Management System (CMS), with featured products, slideshows, and clear information aimed at bringing people into the store. 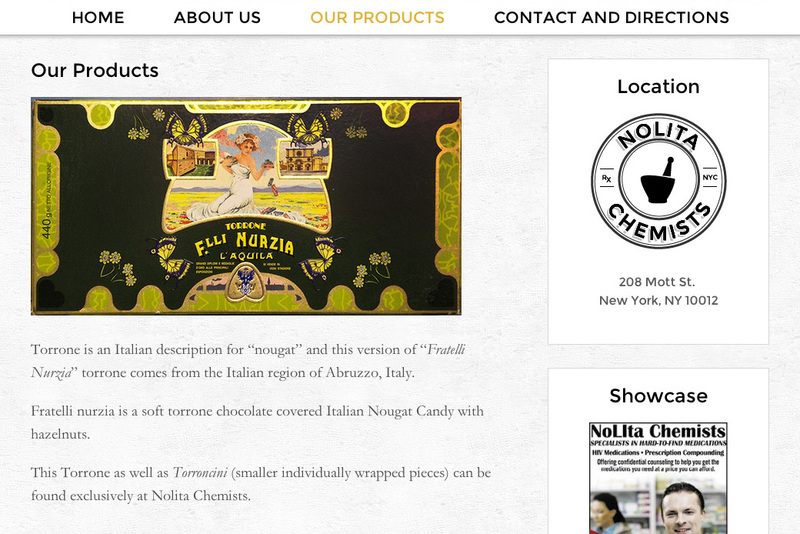 Our project with Nolita Chemists continues our work with websites for small businesses in New York City — and beyond!